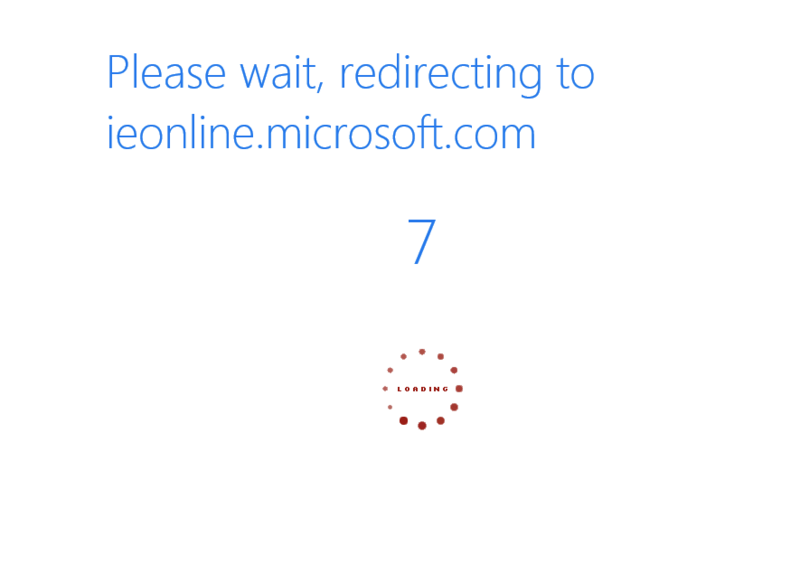 IT Charter is a splash screen sent to every browsers that did not have read the company Internet legacy. 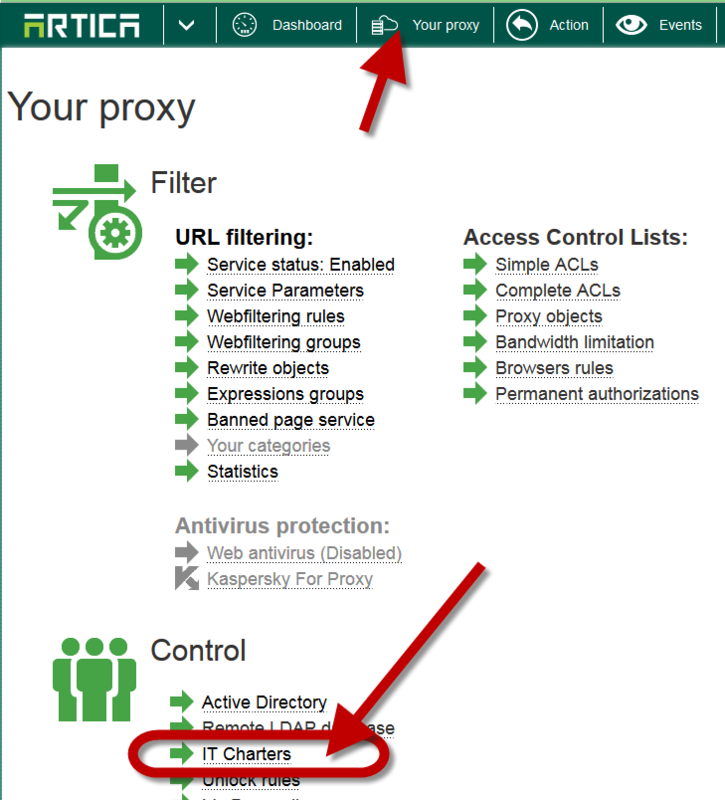 The IT chart feature can only be available if the Web filtering is enabled. 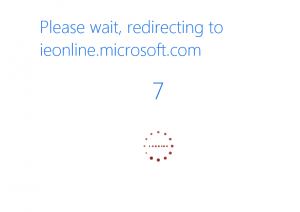 This feature use the Webfiltering method to redirect HTTP sessions to the IT Chart Web Page. Click on Your Proxy top menu. Set the title of your IT Charter. 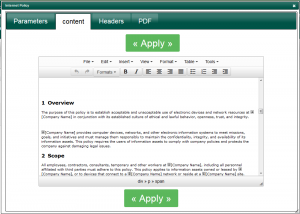 The content section allows you to set your policies in HTML mode. The header section allows you to tune css content. If you want to use a PDF, select the PDF tab, turn on the enabled option and upload your PDF trough the Web interface. If you delete an event, user must agree again to the IT Chart. 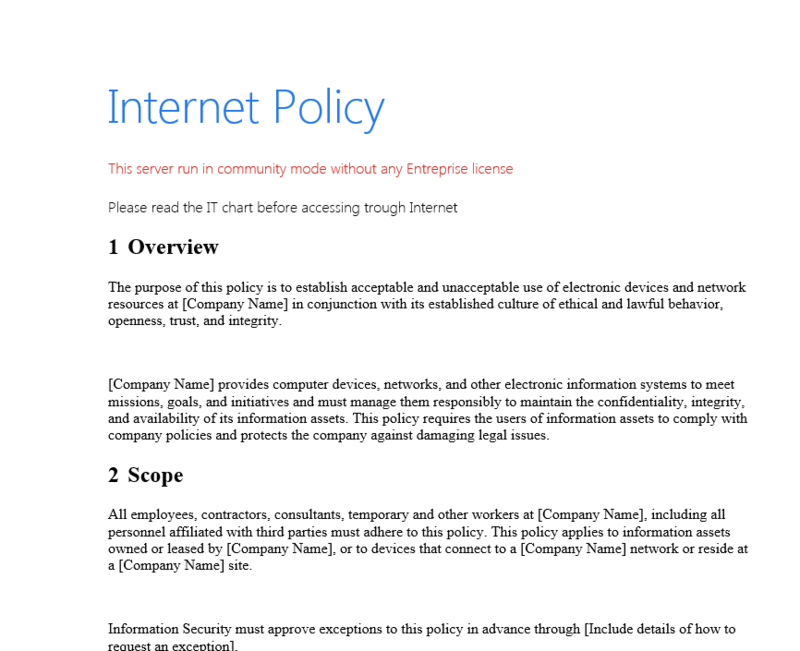 If you create a new IT Charter, users must agree to the new IT Charter.